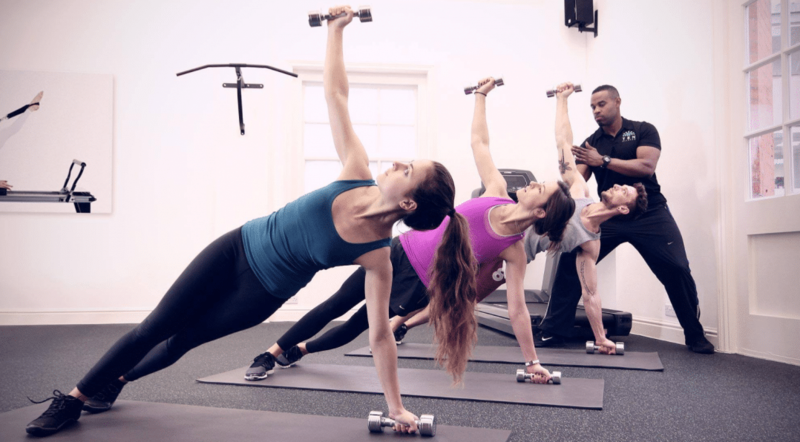 LONDON, United Kingdom — Boutique fitness operator Ten Health & Fitness is aiming to change the outlook of the fitness industry by encouraging market leaders to focus on substance over style. Building on its in-house #MoveBetter campaign, which places emphasis on the quality of movement, over the intensity of its workouts, Ten wants to expand the philosophy industry-wide. “If you look at what the fitness industry focuses on when it talks to the world at large, so much of it is about how people look, or about how intense and challenging – and/or cool – a particular workout is,” explains Justin Rogers, Creative Director at Ten Health & Fitness. “What you rarely hear (except a relatively small group of movement specialists and more expert and aware trainers) is people talking about the importance of technique, control, postural alignment and quality of movement – all the things that make exercise safe, effective and sustainable,” he adds. Since its launch 10 years ago, Ten has made it a point to provide a ‘prehabilitative’ approach to fitness and exercise. Throughout its 8 London studios, it offers classes that straddle both the fitness and medical world in order to put its client’s needs first. The introduction of special workshops such as ‘The Seven Principles of Movement’ which focuses on ‘improving the quality of participants’ movement, as well as educating them about its purpose,’ help to create a long-term, sustainable attitude towards fitness. But, according to Rogers, like Ten, other fitness operators should also be highlighting how different forms of exercise help the body to function better for longer. By educating customers on the movements that address the harmful impact of the way we live and work today, as well as reducing the risk and incidence of illness and injury “the opportunities for the industry could be huge,” he argues. Rogers believes that the current focus of the fitness industry narrows its appeal to the public at large. He argues that while he has begun to see some initiatives that attract a wider audience, there’s a lot more untapped opportunity that exists. By adopting a new approach, Rogers says the industry can leverage the spending power of new demographics, including the over 50s and those in need of rehabilitation. “Too many of us – even active exercisers – have sedentary, deskbound lifestyles, with all the musculoskeletal and postural injury and dysfunction issues that come with it,” he comments. “Despite that, the fitness industry still doesn’t focus enough on ‘prehabilitation’. There are hardly any providers like us who are able to offer any kind of joined-up transition between injury, rehabilitation and fitness,” he adds. For the fitness industry to make the most if the opportunities, it will have to adapt, explains Rogers, who cites the skill levels amongst PTs and exercise professionals as an area that needs improvement and consistency. For that to happen it needs to be market wide, but for now, Ten will continue to have conversations with governing bodies, other fitness providers and professionals, and not least with its own clients and training teams.